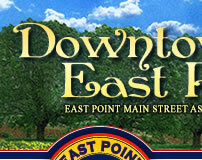 Port-A-Wellness is located in the heart of Downtown East Point, just a block from the MARTA Train Station. 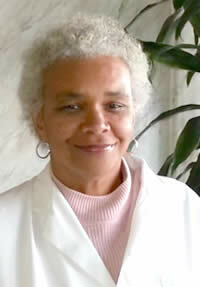 The owner, Dr. Ramona A. Minnis, opened the business in 2012. They provide services for all individuals 16 years and older who prefer an integrated and more natural approach to healthcare. They focus on preventing disease rather than treating diseases after they develop. They emphasize lifestyle change as the principle treatment for chronic diseases and for maintaining health/wellness in those with-out disease. Their services are tailored to the individual, identifying their specific areas of risk. Intervention is then designed to target the individ-ual risks and thus, impede/reverse the development of disease. Additionally, after the initial exam and labs, many of their services can be administered and monitored online thru patient portals. Their services include health risk appraisals, body composition analysis (% body fat, bone, muscle mass & water), Exercise Fitness Testing, individualized exercise prescriptions, personalized nutritional analysis and meal plan, wellness nutritional products and health education. Our services are tailored to the individual, identifying their specific areas of risk. Intervention is then designed to target the individual risks and thus, impede/reverse the development of disease. Port-A-Wellness offers cor-porate wellness packages and has a particular affinity for small businesses. Corporate wellness programs can be administered online, at their clinic, at the worksite or other location of choice. With healthcare reform and mandated insurance, wellness services are growing in demand and will play a major role in controlling healthcare costs, particularly for small businesses. They can refer you to resources for wellness insurance, health savings accounts and other financial entities that can assist you in offering wellness to your employees. 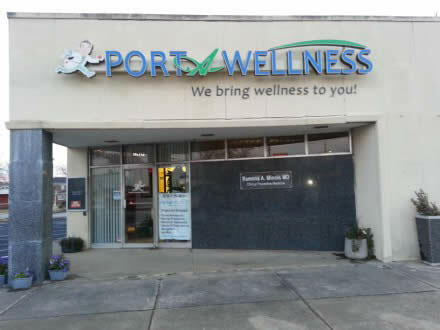 Port-A-Wellness is involved in the community and participates in local health fairs.